“What would it take to help people to have a good life at home for as long as they choose? During 6 weeks of deliberation our Inquiry produced compelling recommendations to transform Care at Home services in Greater Manchester. We now invite you to work together with like-minded professionals, in a participatory way, to develop ideas on how the recommendations might be implemented. This is a unique opportunity to improve Care at Home services in Greater Manchester. Would you like to see improved services for vulnerable elderly people? Do you commission, deliver or need ‘Care at Home’ services? We especially want to invite people working in a health and social care specialism. Help us to find better ways to provide Care at Home that works on an emotional, person centred and practical level. Keeping people with care needs safe, happy and well in their own home is one of the biggest challenges faced by individuals, their families, the NHS, Local Authorities and their partners. We want the people who deliver, commission, campaign for or otherwise support ‘Care at Home’ services, particularly for the elderly, to take on this challenge at the launch event of the ‘Recommendations of the Care and Home Inquiry’. We use a broad interpretation of ‘Care at Home’, recognising the wide range of professionals, services and networks of support that are involved. Care at home might be delivered in the individuals home. Or a care home or social housing. And connects and impacts on hospital stays and respite care. 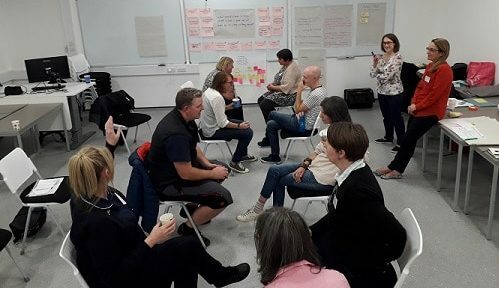 At the launch event we will present the findings of our 6 week ‘deliberative inquiry’, which involved a range of professionals hearing the lived experiences of people using care at home services. 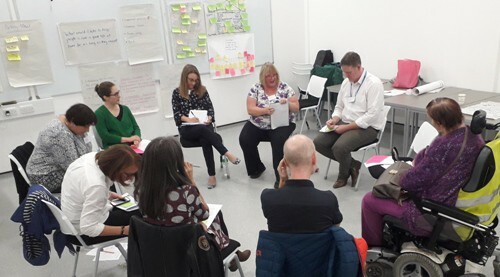 The inquiry was led by Shared Future, with funding from the Jam and Justice project, and enjoys the support of the GM Health and Social Care Partnership‘s ‘Living Well at Home’ delivery group.